Brussels (AFP) - The European Union said Friday it will delay implementation of a free trade deal with Ukraine by more than a year until the end of 2015. 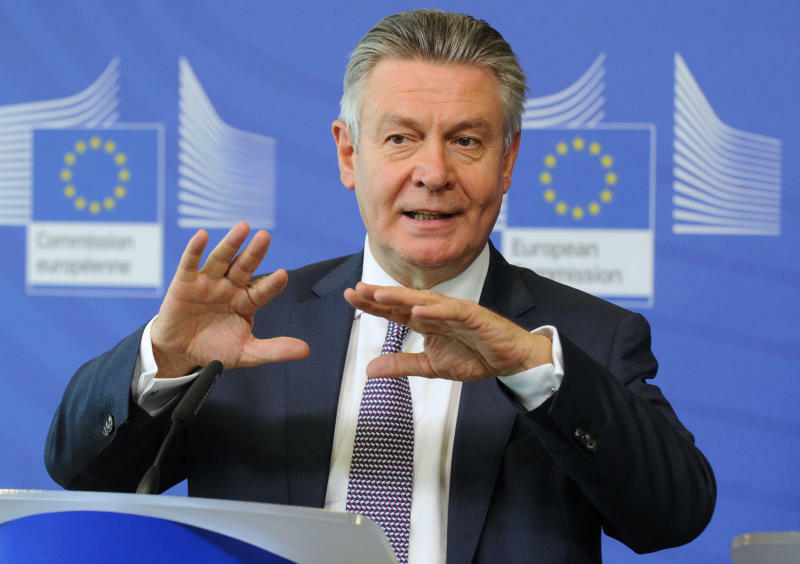 EU Trade Commissioner Karel de Gucht said, after talks with Russian and Ukrainian ministers, that while the free trade agreement would be delayed, Brussels would still extend temporary preferential tariffs on Ukraine goods. EU sources said the trade deal was to have taken effect on November 14. The European Council of 28 members states must now sign off on the delay. De Gucht said that once Kiev ratifies the EU Association Accord, expected next week and which was negotiated at the same time as the Deep and Comprehensive Free Trade Agreement, then Brussels would offer "additional flexibility" in the hope of meeting Russian concerns that its economy would suffer if the DCFTA deal went ahead. This would be done as part of efforts to "fully support the stabilisation of Ukraine," he said after talks with Ukraine Foreign Minister Pavlo Klimkin and Russian Economy Minister Alexi Ulyukayev. "Such flexibilty will consist in the delay until 31 December 2015 of the provisional application of the DCFTA," he said. The three parties "will continue to consult on how to address concerns raised by Russia," De Gucht said in a statement. "This ongoing process needs to be part and parcel of a comprehensive peace process in Ukraine, respecting the right of Ukraine to decide on its destiny as well as the territorial integrity of Ukraine," he added. De Gucht's statement comes just after the EU imposed another set of tough economic sanctions on Russian banks, oil and defence companies for Moscow's role in Ukraine where a ceasefire agreed a week ago Friday between government and pro-Russian rebels appears to be holding. But European Council president Herman Van Rompuy has said the punitive measures could be lifted depending on a review of the Ukraine truce at the end of September. As Ukraine turned towards the west and away from its Soviet-era master in Moscow, Russia has tried to reassert its influence. Russia sees the DCFTA in particular as bolstering Kiev and potentially harming its own economy by allowing an influx of cheaper and better EU goods into the country, an important Russian market. Equally damaging, Moscow said these goods could then be sold on into Russia itself, damaging domestic industry. DeGucht presented the delay as win-win for all sides, saying the preferential tariffs addressed "the very difficult economic situation in Ukraine" while the delay in implementing the deal leaves "15 months for either party to make remarks, proposals." 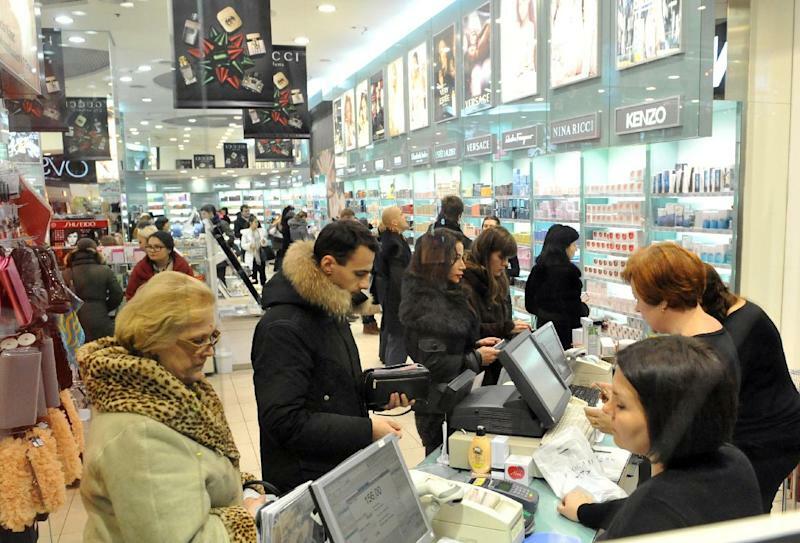 The preferential tariffs announced in March and due to expire in October offered Ukraine significant reductions in customs duties worth about 500 million euros per year, the commission said. However, the free trade deal would have allowed Ukraine to boost its exports to Europe by one billion euros per year, according to the commission. 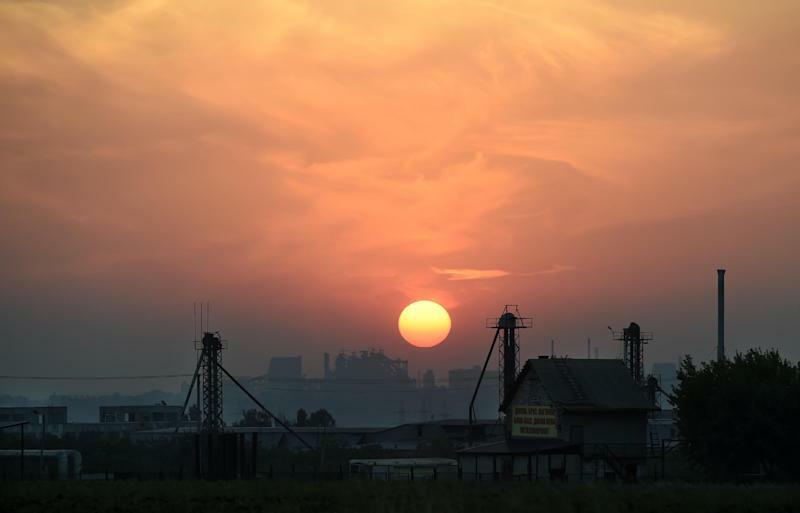 In June, the EU and Ukraine signed the long-delayed Association Agreement, the very deal whose 11th-hour refusal last year by then president Viktor Yanukovich plunged the former Soviet country into chaos. It sparked a wave of pro-European protests that eventually toppled the Kremlin-backed Yanukovich in February and ushered in a pro-Western government that deeply angered Moscow. In March, Moscow annexed the Crimean peninsula, which used to belong to Ukraine, and then allegedly sent troops and weapons in support of pro-Russian rebels in eastern Ukraine. "If you want to solve a conflict, you have to be flexible," a European source said when asked about the delay in the trade deal.